The Aug. 28 Chattanooga Chapter meeting was well attended and enjoyed by a large group of W alumnae. Outreach and relationship-building with alumnae in areas where there are active chapters as well as those without a presence is a priority for the Chapter Development Committee of Mississippi’s First Alumnae Association. The Jackson, Miss., chapter continues to meet for Lunch Bunch the first Thursday of each month. Their location changed this summer and they are now meeting at Market Bites in the Interiors Market in the Fondren area of Jackson. In October, the chapter held a second lunch meeting at Northminster Baptist Church to hear alum Jimmie Moomaw ’58 read from her newly published book, “Southern Fried Child in Home Seeker's Paradise.” The reading was organized by Linda Ross Aldy ’73 and Emily Myers Garner ’95. On Aug. 28, the Chattanooga Chapter hosted an area meeting for lunch at the Hilton Garden Inn on Shallowford Road. There were 25 attendees at this charter event, including one from the Gulf Coast, one from Memphis, two from the Birmingham area, five from the Atlanta area, two from Columbus, two from the Nashville area, and 13 from the Chattanooga area. 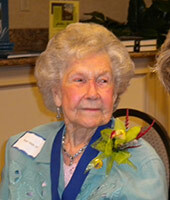 Ruth Wells ‘40 was honored for her long-time dedication to the Chattanooga MFAeA Chapter. The theme was "A Taste of Chattanooga." MFAeA President Lillian Wade ’68 gave the group an update of what was going on at the W and within the association. Author Moomaw was a special guest and read from “Southern Fried Child.” Dr. Bridget Pieschel ‘79 sent a CD with readings from “Golden Days,” and Dr. James Allen recorded and provided music via CD, since they were unable to attend. Ruth Wells ’40 was honored with a reading and flowers. She has been an instrumental leader, organizer and promoter of the Chattanooga Chapter for quite some time. Called persons in outlying areas and challenged nearby chapters to send five people. If chapter information was not available, looked for individuals who were in the same class, had served on the Board or made a cold call with introduction and explanation of the purpose of the call. Our thanks to Mary Helen for sharing this roadmap for others to use in arranging successful alumnae gatherings. An informal alumnae gathering in Washington, D.C., recently united (from left) Amy Johnson Davis ‘93, Michelle Byars Gray ‘87 and Michele Perry Barnard ‘83. An informal group met for dinner in Washington, D.C., at an Ethiopian restaurant called Almaz. Sharing this crossroads were Michele Perry Barnard ’83, Michelle Byars Gray ’87 and Amy Johnson Davis ‘93. Michele brought a friend from work who was clearly enchanted with the whole idea of the W and its wide circle of friends. Barbara Jones Nelson ’86 is working to organize a Chicago Chapter. She has created a Facebook group for Chicago Area W alums and hopes to organize a lunch or dinner in the near future. Forward this link http://www.facebook.com/?sk=2361831622#!/group.php?gid=108332152564537 to anyone in the area who might be interested. Elaine Evans ’70 reported an informal meeting in San Diego with Cindy Pond ’84, Reba Porter ’87 and several other friends. They had a great dinner with a wonderful view of the bay and later enjoyed touring the city. These are just a few highlights of recent chapter activities. Keep us informed (e-mail wrenshirleyspain@aol.com) of your chapter events so that we can share the fun. Send pictures when possible and publicize the Long Blue Line at every opportunity! Shirley Rutherford Spain ‘64 lives in Birmingham, Ala., and is chairperson of the MFAeA Chapter Development Committee.